Insomniac’s Escape Halloween 2017 Lineup is Here! Escape 2017 is the largest Halloween music festival in the United States welcoming costume enthusiasts and dance music fans across the country. The massive two-day music festival is prepared to transport fans into another dimension, escaping the real world and its troubles. 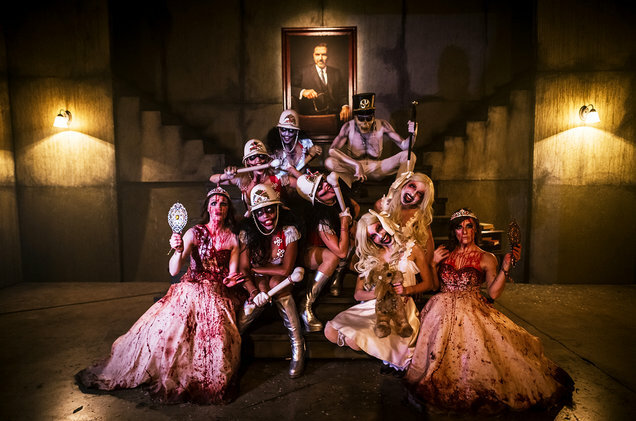 Escape: Psycho Circus, will transport fans into immersing productions, mazes, and sets that will give them the bone-chilling euphoria they are looking for. The event will feature over 70 big-name DJs like Zedd, DJ Snake, Marshmello, Tiesto, REZZ and much more. This year Escape has outdone themselves with four newly designed stages and for those in the V.I.P status, a SkyDeck experience. These stages can be found in the many installations, like in the foggy air of the ghostly lagoon and the nightmarish Asylum, a special treat that will truly terrify fans. During the two days, ghoulish activities will be held, including interactions with performers and walkers. Also, find out what the future holds and visit fortune tellers, tarot card readers, and burlesque shows at the Festival. The long awaited Festival will be held in San Bernardino, California, Friday, October 27th and Saturday, October 28th. Next ArticleWho's The Best in the UFC? e7Nzr1 Major thankies for the post.Much thanks again. Much obliged. 2pPj2Z I truly appreciate this blog post.Really thank you! 6q87Uy Right now it sounds like Movable Type is the top blogging platform available right now. (from what I ave read) Is that what you are using on your blog?